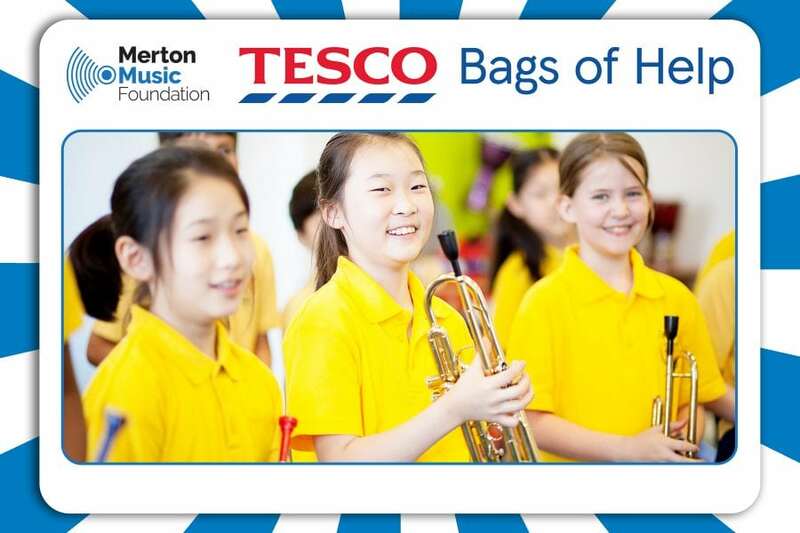 We’re delighted that our IN2MUSIC schools project has been shortlisted by TESCO and Groundwork for their BAGS OF HELP community fundraising programme. IN2MUSIC provides whole class instrumental tuition to local primary schools, giving children the chance to learn a variety of instruments and develop new musical skills that could inspire them for a lifetime. Throughout September and October, customers in selected local TESCO stores will be able to vote for IN2MUSIC to receive a grant which will help us introduce even more children to the joys of playing a musical instrument. Every time you go to the check-out, up until 31st October, you should be offered a blue token which you can use in the voting box. Every vote counts!